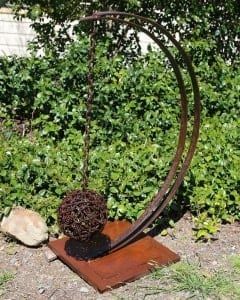 I have a background in structural steel fabrication, which has evolved into creating sculptures from discarded old scrap and new steel. I use old farm machinery in some sculptures, creating sentimental historical pieces. Recently I have been working with modern flat steel, CorTen steel, to create more contemporary stylised sculptures. I have been entering exhibitions in regional NSW, as well as Woolwich Sydney, for a couple of years. I have no formal training in art, but like to create sculptures that I find pleasing to the eye. I have won 2 awards and frequently sell pieces submitted to exhibitions and to interstate buyers. 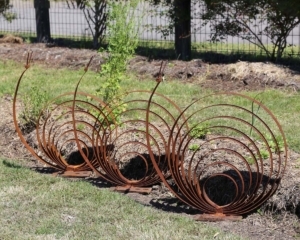 My sculptures are in private collections and as well as being displayed in public areas around NSW.